On the occassion of my visit to the city of Changsha, China, I came across this unusual art form. 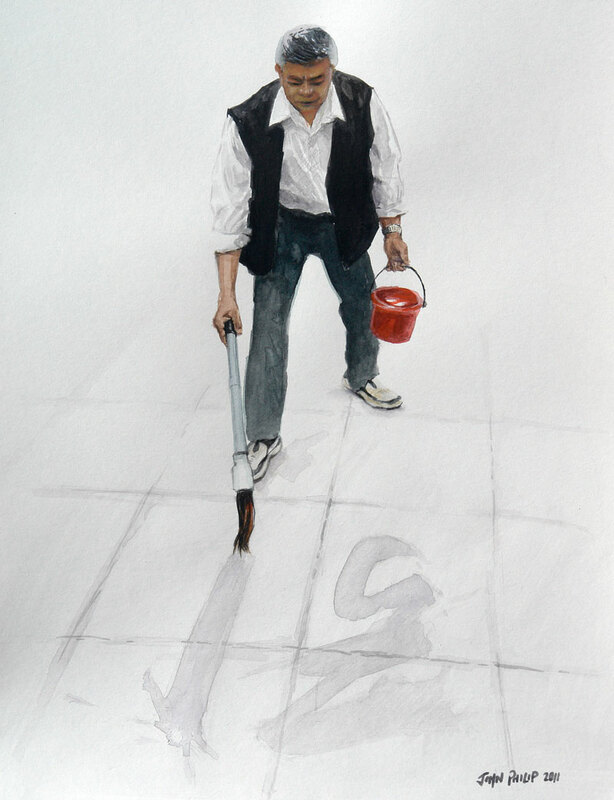 It was at the University where this Chinese man was painting with a large large brush using WATER for his medium on the pavement! As he practised his calligraphy you could see the artwork fade away as it dries. Although it did seem like an early morning meditation for him. Don’t you love the little red bucket and the cool shoes. Makes me think of the little beach buckets which are used to make sand castles, only to be destroyed by the waves. Some years back I attempted some chinese calligraphy. Uploaded them here. Thanks, yes I think every artist needs something of this freedom in them.